Speculative practices and modes of thought, whether in letters to shareholders, massively multiplayer game strategies, or utopian novels, share and transmit certain logics that allow them to instantiate the future and bring about new ways of understanding the world. The role of mediation in bringing about technoscientific change—from storytelling to computer simulation graphics—is often overlooked, and it falls to humanities scholars to expand Science and Technology Studies’ reach to include how these speculative media reshape epistemologies. “Science/Fiction, Science/Media: Re-theorizing STS’s Cultural Landscape” expands on groundbreaking work already ongoing within the UC System by collaboratively developing a set of methods that are capable of treating all media formats as part of this larger machine that creates (and contests) the future. 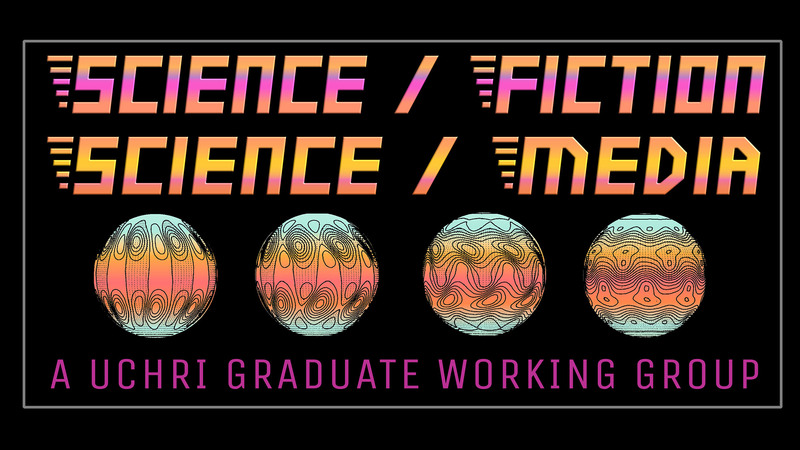 The working group assembles advanced graduate students from four universities and seven departments who are working at the intersections of science and technology studies, speculative fiction studies, media studies, performance studies, and videogame studies. Tracing the feedbacks between technoscience and cultural production, the group seeks to educate through workshops and symposia and, through podcasting, to engage a wider public.